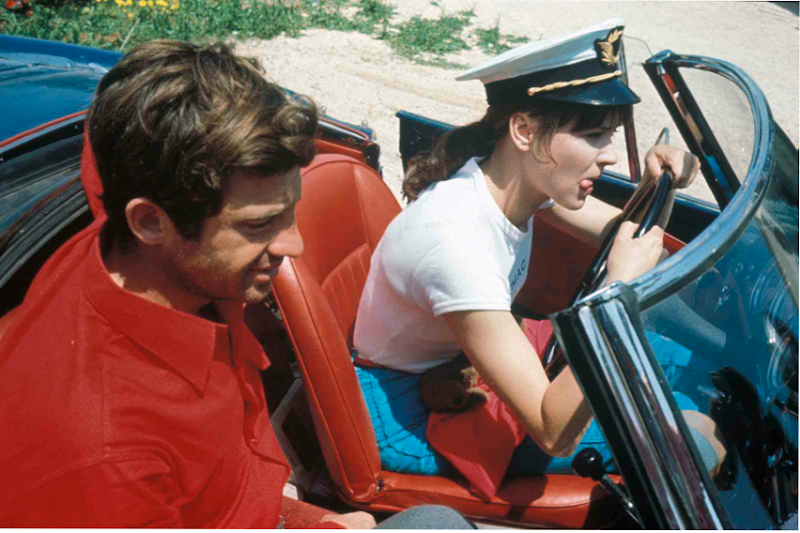 Photos of French actor Jean-Paul Belmondo and Danish actress and singer Anna Karina on the set of Pierrot le Fou written and directed by Jean-Luc Godard in 1965, via DINCA and Espectador Emancipado. Thanks for identifying the top photo - I've saved it for sometime now, and I never knew the credit. One of my favorites. xo. Great photos. Can't beat a classic white t-shirt and jeans. God they look so great!!! i need to see this movie - i love her outfit!